Warmen is a Finnish progressive metal/neo-classical metal band assembled by keyboard player Janne Viljami Wirman - also known as Warman. Janne has been playing with Children of Bodom since 1997, and on the year of 2000 created a musical project focused on instrumental work, which would only have guest singers on a few selected songs. The first incarnation of Warmen was composed of Janne, guitarist Sami Virtanen and drummer Mirka Rantanen. This line-up successfully recorded and released the Unknown Soldier album in the same year of the band's formation, with the collaboration of guest singer Kimberly Goss (from Sinergy), guitarist Roope Latvala (also from Sinergy) and bassist Jari Kainulainen (from Stratovarius). On the following year, the band saw the addition of Lauri Porra (from Sinergy) and Janne's guitarist brother, Antti Wirman (from Kotipelto). 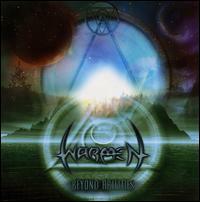 This line-up proceeded to record on the Warmen Productions Studio (now name Beyond Abilities) the album Beyond Abilities, a speed metal album that received critical appraisal. With a more presence and diversity in the vocals, this album made use of the talent of Timo Kotipelto (from Stratovarius), Pasi Nykänen (from Throne of Chaos) and returning vocalist Kimberly Goss. Their third album, Accept the Fact was released in June of 2005. 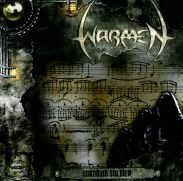 Warmen have released 3 albums so far: 'Unknown Soldier' in 2001 and 'Beyond Abilities' in 2002. 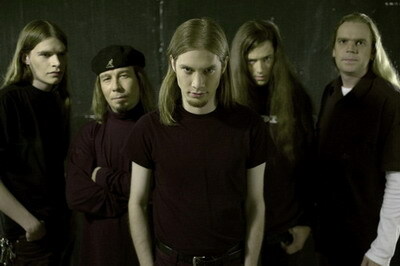 The band went quiet for a couple of years due to Janne's commitment to Children of Bodom, but then in 2005 they returned with 'Accept The Fact' featuring the cover of 'Somebody's Watching Me' with Alexi Laiho on vocals.